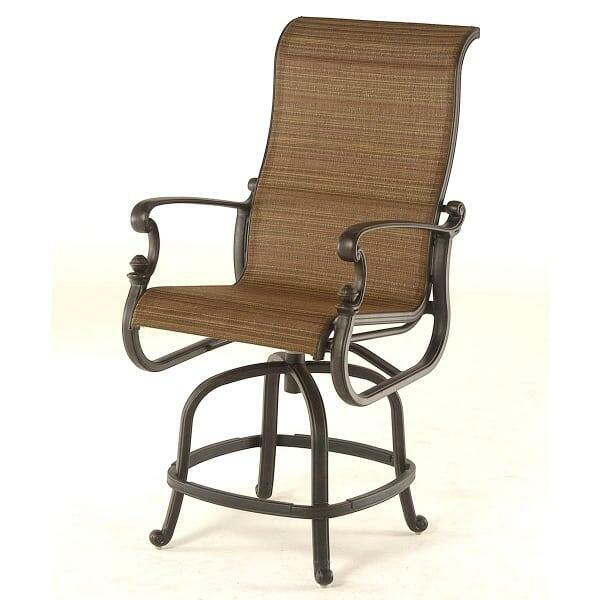 Join the ranks of the Family Leisure shoppers who are in love with their Hanamint outdoor furniture. Hanamint outdoor furniture is extremely popular for its heavy duty cast aluminum construction, wide range of customizable fabrics, generous warranties and superbly reasonable pricing. And, the St. Augustine collections are the best sellers year after year. Shoppers love the simple, seamless design of St. Augustine furniture. It’s made with a cast aluminum frame that is casted in a mold to deliver one single fluid piece of aluminum frame, rather than many rigid pieces fixed together with nuts and bolts. The sling fabric is an all-weather fabric with extreme resistance and resilience with exposure to salt, sun, rain, wind and more. The color is customizable, but the quality is not up for debate! Hanamint employs all of these techniques and materials to create outdoor furniture that outlasts the rest. Are you looking for a long term relationship with your outdoor furniture? Sling Fabric You choose! Please call.